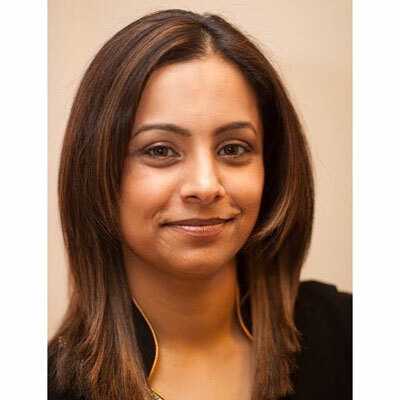 Muna Khurshid is the Vice President of Networking at Dimension Data and is responsible for developing the strategy and execution of the company's US Networking business across wired and wireless, hybrid WAN, and data center networking. Muna joined the Dimension Data Executive Team from Cisco, where she spent the last 13 years in various roles supporting commercial, enterprise, service providers, national partners, global systems integrators, and distribution accounts. She grew up in Toronto, Canada and holds a Masters of Engineering degree from University of Toronto and several industry-recognized certifications including ITIL and CCIE (Cisco Certified Internetwork Expert). Muna is recognized for her creative thinking, out of the box, bold initiatives, and bringing cross-functional teams together to drive results. Her key strengths include building strategic relationships with her clients, partners and cross-functional teams. Her client-centric approach with strong leadership skills and can-do attitude are what have made her teams successful in the networking world. Muna is also the mother of 2 young children (Zoya, 6 years old and Noah, 4 years old), and she loves spending time with her family, going on bike rides and volunteering for school projects. Over the last year, Muna has spent her time evolving Dimension Data's vision, strategy and execution plan for the Networking Business Unit. She is a champion of the concept that networking is not just about routers and switches. Networks have fundamentally evolved to become essential in enabling organizations to compete in a digital world. Under her leadership, we enabled sales, pre-sales, consulting, marketing, and services teams to answer one question for clients - "Is Your Network Ready for....?" It's the foundation upon which we provide solutions and services for automation, cyber security, analytics, hybrid IT, digital workspaces, customer experience, software defined networking, hybrid WAN, IoT, etc. The network is an essential platform for business transactions. This focus has helped our teams put clients and their network at the center of everything as we partner in getting their network ready for their current and future needs. "Is Your Network Ready for ?" Muna's primary goal is to continue to enable clients to compete in a digital world by keeping their network at the center of everything. Robust networks enable organizations to be agile in an ever-changing digital world, and Dimension Data is the only global services company uniquely positioned to enable our clients to embark on this journey of digitization and transformation. Muna was honored to co-lead our Inclusion at Work committee which focuses on driving equality across the organization regardless of gender, age, disability, ethnicity, etc. She is truly proud of what the team has accomplished in the last year, while continuing to make Dimension Data a great company to work for. Muna's past awards include Cisco's Chairman's Club Award (awarded to the top 1% of Cisco) for outstanding results in 2016 and Cisco's Sales Champion Award in 2015. Benazir Bhutto - Muna's family is originally from Pakistan, and Benazir Bhutto was the first female democratically elected leader of Pakistan. She has been a source of inspiration as she led a country where women didn't really have equal rights compared to men. As a leader, she not only fought to represent Pakistan on the international stage but also fought for women's rights. Sadly, her efforts cost her life, but she laid a strong foundation for the women who come after her. "Don't be limited by the negative thinking of others." Many times in your career you will be faced with situations where your direct leaders, peers, and sometimes even friends will tell you that "this is not possible," or "you are not ready for this," or "you can't do this job while maintaining a healthy work life balance." Don't let these criticisms drag you down. Believe in yourself and surround yourself with people who can help you attain your goals. Muna would like to continue to develop into an even stronger leader by focusing on digital trends to help enable clients B2B and B2C interactions - which more and more are powered by IoT using artificial intelligence and predictive technologies. Coaching, mentoring and brand building are very important to her. She always looks for ways to be a better listener, coach and sponsor to help unlock her team's full potential. The Future X Networks by Bell Lab - The book has a futuristic vision as it describes current and upcoming trends in networking, all while remaining grounded in solid technical knowledge. We are living in a transformational age that will see future networks fundamentally change how society connects on a global scale.